Whilst only in England and Wales for now, The Law Society of Scotland are currently consulting on price transparency and so this is relevant to solicitors UK wide. Why and what is the change? In 2016 the Competitions and Markets Authority (CMA) found that there was not enough information available on price, quality and service to help those who needed legal support to choose the best option. Since December 2018, practices in England and Wales are now required to publish the true cost of services (or average costs or range of costs), the basis of charges, key stages of the process and probable timeframes, any likely disbursements (and if they include VAT) and the experience and qualifications of anyone carrying out the work. The SRA had stated that they will give firms time to acquaint themselves with new transparency rules- but it will be proactive about those still refusing to comply. The regulator has stated that they will not be relying on reports of on-compliance and instead will perform thematic reviews to check for itself if firms are publishing the right information. Today however a statement has been released that The Solicitors Regulation Authority (SRA) is to carry out randomised “web sweeps” of around 500 law firms over the next few months to check they are publishing fees for common consumer transactions. The SRA say that this is not about giving firms a hard time or adding more regulatory hoops to jump through. The aim is that by providing clear pricing details, any misunderstandings later in a transaction will be avoided as a result of transparent information being provided from the onset. They believe these regulations will give more people access to the legal system. The other side of the story is that these are in-fact adding a burden onto already stretched firms. Some even say that this will add more confusion than clarity for clients. Many firms have spoken out about the changes. Statements include some saying that the profession is facing an unprecedented level of price pressure. Some think fee information on a website will confuse clients further, saying it is much better to call and clarify what charges apply to their circumstances and find an advisor that they like. Researches have found that nearly a third of solicitors in England and Wales are prepared to defy regulations by refusing to publish clear fee information to prospective clients. Is the regulated solicitor now constantly having to add heavily to their overheads, time away from fee earning and can they act in the best way they want to for their own clients? Do you wonder what is coming next? Emma O’Day, Marketing and Communications Manager at The Cashroom Ltd.
It’s that time of year again where the spring flowers are blooming, the spring lambs are being born and (for some) the spring clean is being negotiated. You may not have considered a spring clean of your IT security knowledge or corporate network security, so we have put together a few quick tips to help you remain safe online and tidy up your corporate accesses. It’s easy to get lost in a checklist when someone leaves your organisation. So much of our day to day lives are now online and individuals will have accounts and sign in credentials for numerous websites, portals and systems. Are you certain that all the credentials relating to your previous employees have been disabled? Is their email address still active? If you use The Cashroom can the leaver still access the Cashroom Portal? Can they still access your CMS/Bank accounts/other software remotely? Cyber-attacks are getting increasingly complex and fraudsters are always developing new strategies to try and separate you from your sensitive information. It is important that you don’t succumb to paranoia, but everyone should always try to remain vigilant. Be wary of spam and suspicious emails – this includes emails that look like they are from someone you normally communicate with, but the content may be asking for something out of the ordinary. Only open an email attachment or click on a link if you’re 100% certain of its source & you were expecting it. If you’re unsure, don’t open it. Look out for changes to phone numbers, email addresses and bank account/paym ent numbers etc. Don’t be afraid to double check any changes with the email sender but call them at a number you know exists or begin a new email chain from scratch. Don’t click reply or use the details in the suspicious email – you may end up “verifying” the change of details with the fraudster! When accessing the internet, check the web address has “https” in front of the address (sometimes shown with a padlock icon). The “s” means that the site is secure. Also check that the address is spelt correctly and is the usual web address that you use for that site. We are always told never to reuse or write down our passwords. Have you considered investing in a password management software, which can securely store and remember your passwords so that you can always have a unique and complex password every time you need one? There may also be times where you can use double authentication instead of one single password, for example a password and a fingerprint. Social engineering is an increasingly common type of confidence trick for information gathering, fraud, or system access. Fraudsters know we are savvier when it comes to dodgy looking email attachments, so they are now playing on our personalities and common human foibles. They will rely on humans wanting to help each other out or taking advantage of our natural intrigue. Examples of social engineering tricks can include a fraudster sending an official-looking announcement to the company that says the number for the help desk has changed – when employees call for help the individual asks them for their passwords and IDs thereby gaining the ability to access the company’s private information. Another example of social engineering would be a hacker leaving a USB stick on the floor in or around your office, possibly titled “cute puppy pictures”, “2019 promotions” or “payroll data”, hoping someone will pick it up to see what is stored on it. Malware would often then be automatically downloaded to the computer and the wider network. We hope that this “spring clean” list is of some use. Obviously this isn’t intended just for springtime, you should use these tips throughout the year to ensure that your systems are constantly reviewed and your security is working well for you and your business. For more information on cyber-attacks and social engineering, please contact your IT Support provider. For all Cashroom clients with leavers please contact your Cashroom representative if you have any staff that need removing from the portal. If you would like more information on how to do this yourselves, please refer to the portal help icon and look for Adding / Deleting Client Users in the “How-to articles” section. You need several key attributes to get the most out of a networking event like the Legal Sector Advisors and Suppliers conference. I spent a happy and very productive two days in September with the UK’s leading legal sector suppliers in the gorgeous setting of Ardencote Manor. The days were happy and productive because I was ready with networking powers primed and ready. There’s the obvious requirement for a cast iron constitution. The ability to remain coherent and to retain information after being plied with intoxicating slides and copious quantities of strong information. There’s a need for a fast recovery…from the brain pain induced by constant intelligent discussion and from the dryness of mouth associated with ceaseless intellectual chatter. On a more physically demanding note, there’s an essential element of grace and movement when negotiating the pulsating groups and knots of experts, clustered and cloistered. A swerve here. A nod and a smile there. Noting key contacts and performing a polite gentlemen’s excuse me, insinuating yourself into a group and immediately finding their rhythm. The thing is, networking events of any sort involve perseverance, mobility, information retention and crucially action. Be prepared to politely move on from a conversation that is less relevant, but also remember at such events it is often when you stop talking shop and start just chatting that the conversation develops and relationships are formed based on far more than simply “what’s in it for me to talk with you”? Following up on the discussions after an event is also key…it’s amazing how easy it is to just leave the event and the exciting discussions behind you, as you move onto the next gathering, or get embroiled in the day job as you emerge from the conference bubble to the mound of emails and daily grind. Try to be a little picky about follow up meetings, after all not everyone with whom you meet and share laughter and wine is a priority for action. But remember that even a meeting which is simply fun and a sharing of sector gossip can have value. You can go to the best networking event or conference on the planet and if you don’t fully engage and follow up you’ve wasted your money and your time. Oh, and be sure to take paracetamol and Lucozade to deal with the hangovers. You have been asked to do a piece of work, diligently send out your standard letter of engagement, when the client calls uttering the dreaded words…‘the fee is a bit higher than I was expecting – if you can get that down a bit, I’d be happy for you to proceed with the work’. If this situation fills you with dread, fear not! With a little thought and a proper ‘toolkit’, you can confidently go into a conversation with your client on this topic in future. Believe it or not, armed with the right knowledge and skills, you don’t need to default to discounting your fees when a client queries them. A number of surveys on legal and professional services fees have found that the most important factor for clients is usually not lowest price. Obviously this may vary slightly depending on work type, but other factors have consistently been found more influential. The key influences are that the prices are transparent, guaranteed and value based. So, how do you move your firm towards a better pricing model, and ensure it is consistently applied? Well, I recently attended a seminar by Nigel Haddon, a Pricing Consultant at Burcher Jennings, who had some very useful tips on this. First and foremost, get a feeling for the clients‘ objectives – for example, how urgently does the work need done, how important is it to them, what is their risk appetite. Next, you may also want to factor in whether it is a one-off piece of work, or if there is an opportunity for repeat or volume work in the future. This, along with a clear understanding of what the work involves, allows you to consider the appropriate fee. On the initial enquiry call, make it standard practice to buy yourself fifteen or twenty minutes to “run it past a colleague”. Next, make sure you do just that! Simply having a chat with a colleague will provoke greater challenge around your initial perception of the work involved, how long it is likely to take etc. You will probably find that eight or nine times out of ten, it is necessary to increase the price you were originally thinking of quoting. Next, clearly set out to the client what the fees are, giving them at least two options. This part may be an entirely new concept, but hearing Nigel explain it, it actually makes a lot of sense. Most importantly, all of the options must work for you, but for sometimes inexplicable reasons, one will probably appear more appealing or better value to the client. As an example, for a piece of work which needs to be done by the end of the week, and is of extremely high importance to the client, you could offer the following options: (1) an hourly rate of X, being a 25% premium on your standard hourly rate; (2) a fixed fee of £4500; or (3) a fixed fee of £4000 if paid upfront. Rarely will the client walk away, or even shop around, when presented with such a choice. More likely, they will like one of your options, depending on the particular circumstances in which they find themselves. I hope these tips are useful to you – I know they certainly make a lot of sense to me, thinking back to my days in legal practice. In addition to ensuring there is clear consensus with your client on their objectives, by taking some time to think about why you are seeking to charge certain rates, and clearly explaining them, with various options, you are less likely to get push back from the client later down the line, and even if you do, you can be far more prepared for that discussion, and confident in your justification. Thanks for opting in to receive our content. I don’t want to bring down the mood…I’m no Buzz Killington….but late last year my dad died. It was sudden, and shocking and awful. For a month he was in intensive care before he passed away and so in total there were about two months of uncertainty and scheduling visits and fear and worry and support for mum and then grief and horror and emptiness. I promised I wouldn’t bring down the mood, so “why are you writing this Al?” I hear you ask. Well it’s simple really. All those trite sayings. All those tropes. Those clichés. You know the ones- life is too short; seize the day; life is not a rehearsal. My dad was a great businessman and a wonderful dad and gramps. What happened to him came out of the blue. And when he was in hospital there was a fella aged about 30 in the next bed who had also had a massive stroke. It really can happen to any of us. So my heartfelt message in this brief blog is that we should all treat every day as precious. Do those things you’ve been putting off. Be kind to people rather than dismissive or ignorant. Try to make your world and the lives of those around you better. I’ll end with a quote from Gladiator (not “On my mark unleash hell”…that’d be weird!). No the quote is “What we do in life echoes in eternity”. From a business perspective if nothing else, maybe we can all work in a more collegiate, helpful and positive way. I’m going to try to do that, and to live life to the full. Dad taught me that before he died, and the full truth of his lessons only now fully hits home. For those who don’t know my background, I trained as a solicitor at Drummond Miller in Edinburgh and Glasgow. I remained there for about a year post-qualification, then moved on to Digby Brown and thereafter Anderson Strathern, before leaving practice to join The Cashroom as their Business Development Manager. Of course the work within private practice as a lawyer varies hugely, from helping individuals draw up a basic Will, to corporate deals worth gazillions of pounds/euros/dollars, as does the size and type of firm, from a small high street practice in a rural village, to the vast array of global offices of a magic circle firm. The huge extent of law firms and work-types therefore brings options, and my advice would be to take some time out, perhaps while away on holiday, or with some quiet time to yourself, to note down what it is that attracted you to law in the first place and, most importantly, where you want to be in 2,5 or 10 years’ time. For example, is money a big motivator, or would you be willing to sacrifice some income to work better hours? Are you interested in living/working abroad at some point in your career, do you want to be your own boss, or do you have aspirations to bring up a family in the quiet countryside? Do you attach prestige to working for a certain type of firm, and is the title of ‘Partner’ appealing? These are just some of the factors to consider, and once you start the process, I’m sure that the pros and cons of each options will start to become a little clearer for you. It’s amazing how much of a difference writing these thoughts down will make, so make sure to do that, rather than just thinking it through in your head. I think that once you carry out the exercise above, you will be surprised at how clearly the picture begins to form. It should start to emerge whether you are veering towards a particular work-type, location, or size/type of firm, and what you want from your work/life. Don’t worry if the picture that emerges is a far cry from your current role – you will be amazed how a strategic move to an interim role will set you up and get you the necessary experience for where you ultimately want to be. Figuring out where you want to go is the important part, and the ‘how to get there’ is always possible if you are willing to put in the time and effort. 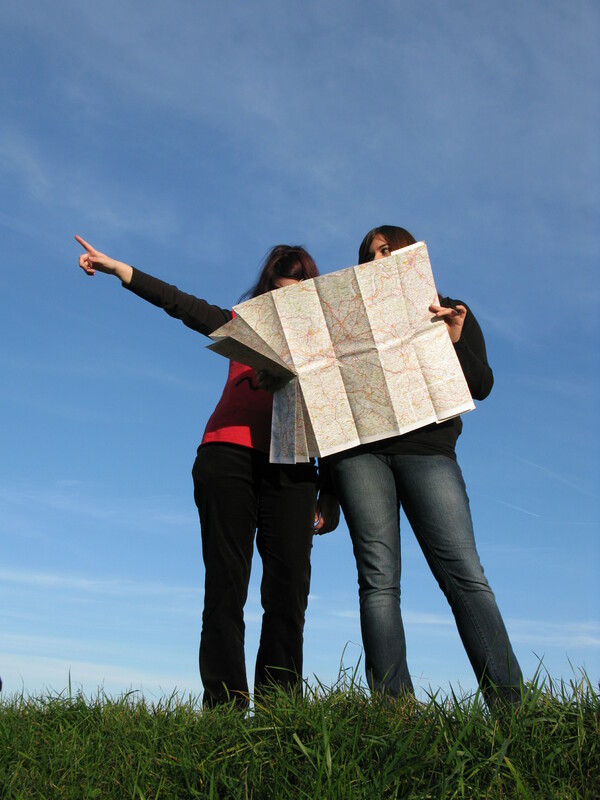 Once you have figured out where you want to land up, it is a lot easier to plan a route there! It may be that you need to undertake some re-training in a different area of law, or that you simply need to scroll through all of your contacts, and figure out a handful of people to speak to about your goals. It never ceases to amaze me how afraid people are to ask others for help. Speak to people you know, and ask them for advice, for an introduction to a particular person, or for their feedback on things you could be doing to improve your chances of getting the role you are seeking. Generally, unless you are a particularly unpleasant person (! ), friends and contacts will be more than willing to help you out. Whether it is speaking to somebody at a firm doing the type of work you are interested in, or talking to a sole practitioner about how they manage their business because you have decided that your aim is to set up your own new law firm, people will be very willing to spare you some of their time, and pass on any tips/lessons they have learnt along the way. I hope that helps, to some extent, in narrowing down the career path that is most appealing to you within private practice. I think that finding out what makes you tick, and aligning a job with that, is the ultimate achievement. 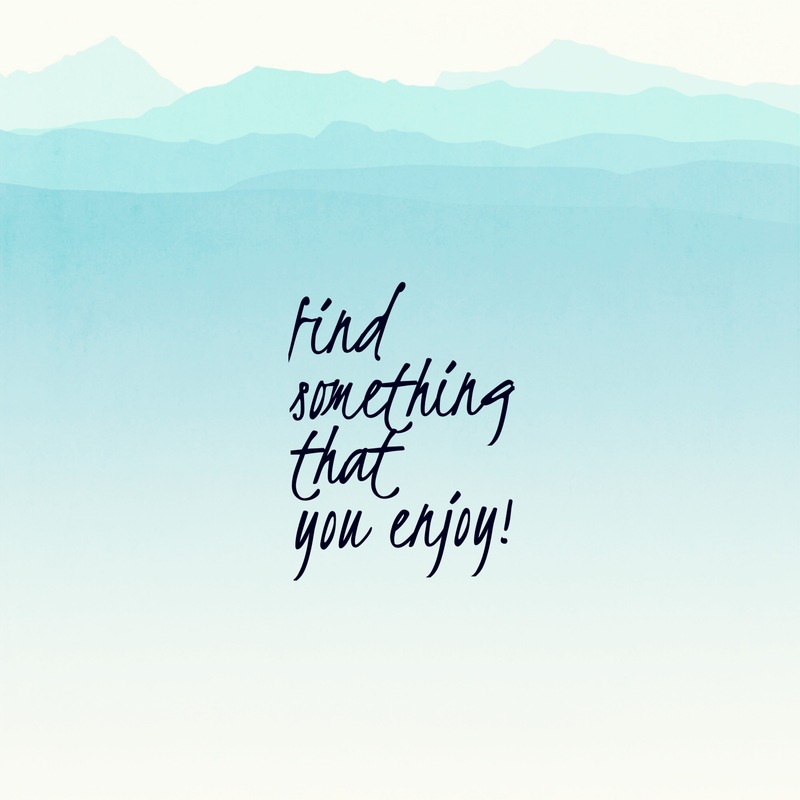 You spend a huge proportion of your life at work, so find something that you enjoy, or at the very least, don’t dread every day! One of the other key factors that becomes apparent in your ‘homework’ above, may be the type of clients you want to work with. It may be that you enjoy working with individuals, with charities, or with entrepreneurs. It may also, however, emerge that you would like to be working within a business or organisation, and that an inhouse role may be the most appealing. More on that next time!